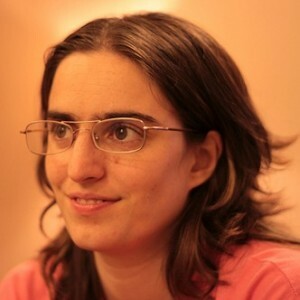 Great interview 🙂 I admire Margarita for many reasons, the last that I really appreciate a lot is the “Debian Women Build It Event” , so THANKS A LOT FOR YOUR HARD WORK IN DEBIAN MARGARITA!!!. Thank you Raphaël and Marga. Marga, we have similar goals for Debian. I also share your idea about Debian’s biggest problem, although I’m not sure I would call it a simple lack of general empathy. In any case, I would be curious to know if you or anyone else has some evidence suggesting this problem is indeed more important than in other equally technical projects, and if so, if there’s any explanation. I imagine that large organizations are more prone to this problem. Could the lack of much hierarchy worsen this for Debian? Is Wikimedia comparable, and if so, is it truely better than Debian, or is Debian’s problem just a fatality? Could improved communication tools help? I’m no expert, so this is just an opinion, not even an “informed opinion”, but I don’t think that having any tools will solve the communication problem, it’d be a technical solution to a social problem. From my point of view it’s an issue very much rooted in the way we Debian Developers generally are. We focus on the technical side of things and don’t give the social side that much importance. Other groups (as Wikimedia, for example) might be totally different because the members of the groups are different. I think that things have been improving over time, but they could still be better in the future. Ideas that come to mind: talks at DebConf about how to communicate better with each other, wikis about how to announce certain things, getting more people with social skills involved in Debian. I’m curious whether you mean the Wikimedia movement as a whole, including Wikipedia content contributors, or the Wikimedia technical ecology, which includes work on the MediaWiki software. I work at the Wikimedia Foundation so maybe I could help explain the relevant community; just let me know which one. I’m more fluent talking about the latter. If you mean me, I didn’t have anything precise in mind. I think both communities would be interesting to compare. Both must have their own features. The software community must be smaller than the Debian project, but is also a technical community. The editors community is less technical, but a lot larger than Debian, and uses different communication tools. Unfortunately I’m not involved enough in any to compare the quality of their internal communications with Debian’s. When you refer to a social problem, do you mean something more/different than a communication problem? A communication problem is not necessarily (only) a social problem IMO. I wouldn’t say education on communication addresses “social problems”, but I agree such education could help. Talking about communication education shows that the perhaps vague problem we have in mind is more than a lack of empathy. What a great interview. Very inspiring. Thanks to both Margarita and Raphael. Felicidades margarita!!!!!! Saludos y vamos Argentina a favor del Software libre!!!!! Marga, dejalo al Maxi ese y casate conmigo. Sos hermosa! Pablo. Margarita, eres una de mis DD favoritas. Éxitos. 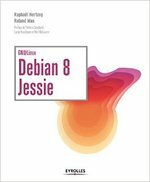 Gracias Margarita por ayudar a Debian, es bueno ver gente de Latino America colaborando, Felicidades y continua con el buen y desinterzado trabajo.